Netanyahu’s E1 Ma’aleh Adumin settlement construction announcement drew considerable flack. What it means remains to be seen. Palestinian rights have been spurned for decades. Expect little change now. Netanyahu and previous Israeli prime ministers promised none. Plans were drawn long ago. Now they’re announced. Washington and major Western partners knew about them all along. They said nothing earlier. If completed, Ma’ale Adumin settlement will be connected to Jerusalem. Doing so divides the West Bank into separate north/south areas. Washington expressed weak opposition. National Security spokesman Tommy Vietor called the move “counterproductive.” UN Secretary-General Ban Ki-moon was no better. Through his spokesman he expressed “disappointment.” UN Human Rights Council High Commissioner Navi Pillay said nothing. She fell from grace long ago. Like Ban, she’s a reliable imperial partner. Both spurn what they claim to support. Instead, they “could invoke it (as a possibility) in case of further” Israeli escalation against Palestine. Something will be announced soon. What follows may be moderate. Possibilities include “suspending strategic dialogue meetings,” labeling Israeli settlement products, and/or perhaps imposing slap-on-the-wrist sanctions against them. 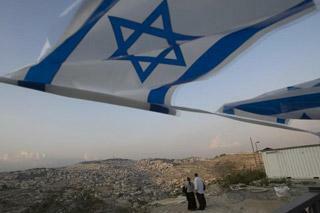 “Europe (is) putting heavy diplomatic pressure on Israel to reverse its decision,” said Haaretz. “Five senior (EU) ambassadors communicated strong words of protest to” Israel’s Foreign Ministry. Former State Department official Robert Danin called E1 construction “a red line” for Washington. Former US Israeli ambassador Israel Kurtzer said Israel’s move “should spur the administration into action.” How he didn’t say. Britain may consider “revisiting” or perhaps suspending EU/Israeli trade agreements. Don’t bet on it or anything else harsh. In other words, talk tough. Do little or nothing. Free Israel to do what it wants. It’s taken full advantage for decades. Expect no change now. • making remaining parts of the West Bank an autonomous region economically linked to Israel. Israel manipulates conditions on the ground. It’s done to create the appearance of settlement legitimacy. Military order diktats enforce it. Israel tramples on inviolable international agreements. It makes its own rules. It does what it pleases. It’s contemptuous of fundamental human rights. It ignores its responsibilities as an occupying power. It won’t end what long ago became lawless. Palestine belongs to Palestinians, not Israelis. Redrawing the Territories has no legitimacy. E1 construction is Israel’s latest outrage. Western rhetoric stops short of ending what no one should tolerate. In 1999, Israel approved an E1 master plan. It covers about 12,000 dunams. Israel declared them “state land.” Doing so was illegal. In 1979, Israel’s High Court Elon Moreh case decision prohibited requisitioning private Palestinian land for settlement construction. Israel ignored the ruling. Straightaway it declared 900,000 dunams state land. It steals Palestinian land with impunity. Ma’ale Adumim settlement claims jurisdiction over 48,000 dunams. E1 construction involves stealing private Palestinian land. It’s hard imagining what never before happened is planned now. America will apply heavy pressure to prevent it. Officials called Netanyahu’s announcement a hasty “angry move.” Punishment shouldn’t follow unless Palestine sues Israel at the ICC or ICJ. In 2009, Israel began stamping visitor passports to the West Bank “Palestinian Authority only.” Doing so restricted them to West Bank areas. Israel changed tactics. It’s now stamping passports “Judea & Samaria only.” Doing so amounts to stealth West Bank annexation. Israel annexed East Jerusalem earlier. Western outrage didn’t follow. Nothing is said now about West Bank annexation. E1 construction is bad enough. Decades of lawless settlement construction is worse. Annexing the entire West Bank reveals Israel’s dirty game. Don’t expect Western condemnation to follow.